Hey everyone! After my previous post on Elle18 Color Pops Lipstick In Coral Romance, I am back again with another shade from the same range. I am going to review Elle18 Color Pops Lipstick in Rusty(no 29). 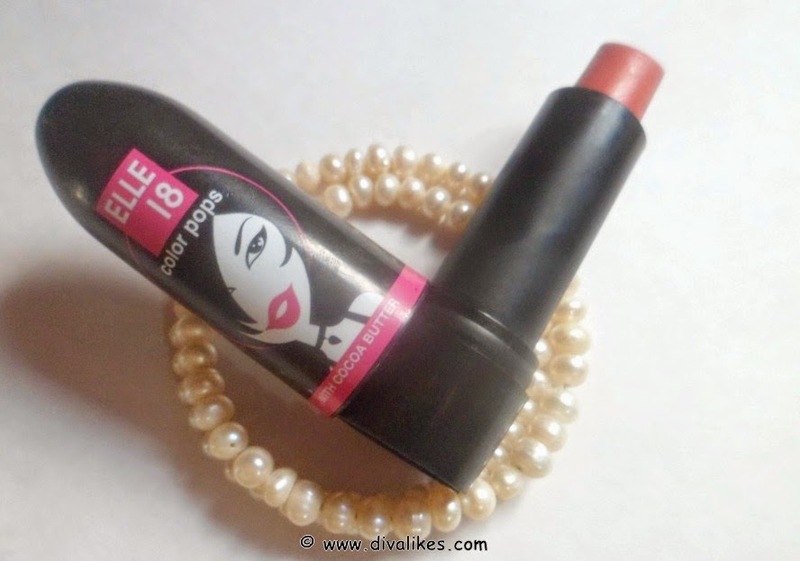 Elle18 comes up with budget friendly makeup which fits the pocket of a young girl very well. They have an amazing range of products. 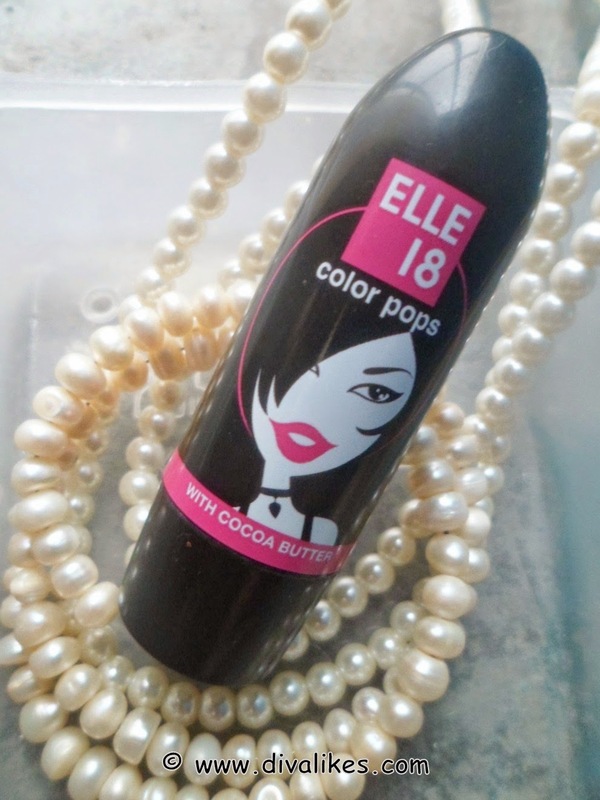 I am on a lipstick spree these days and Elle18 is helping me to live up to my enthusiasm and fill my makeup stash. The shade Rusty is one of my much loved possessions. I wear it only on special occasions but it indeed is a very pretty shade. So without any delay let's have a look at the review. As I mentioned in my previous post, Elle18 Color Pops Lipstick comes in a cute black case with a cute girl printed on it. The cap shuts tight with a click and hence it is travel friendly. But the bullet inside is very weak. You need to keep the lipstick in refrigerator otherwise it will melt. It smells of cocoa butter which bothers my sensitive nose. Coming to the shade Rusty, it is a beautiful peachy orange shade without any shimmers. Generally orange shades look very bright and bold and most of us hesitate wearing it. 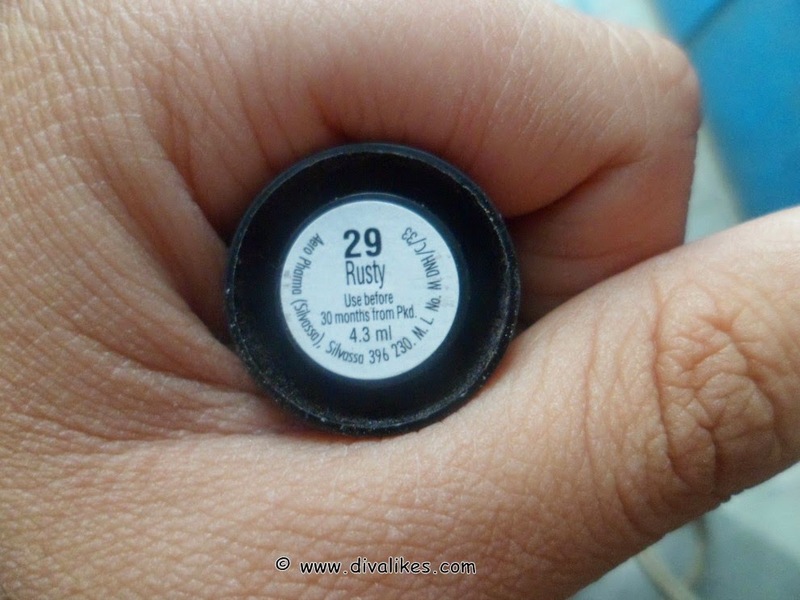 But Rusty is a perfect muted orange shade for those who want to try wearing orange without going over the top. 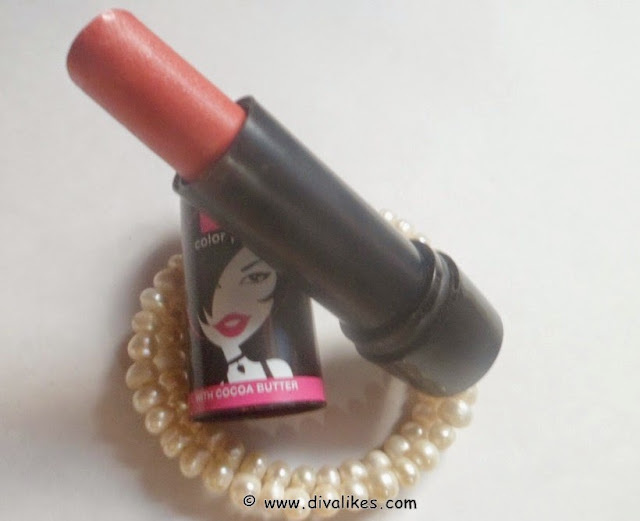 The texture of the lipstick is very soft and creamy. It glides smoothly on the lips. It does not dry out the lips and I guess that is because of the presence of cocoa butter in it. 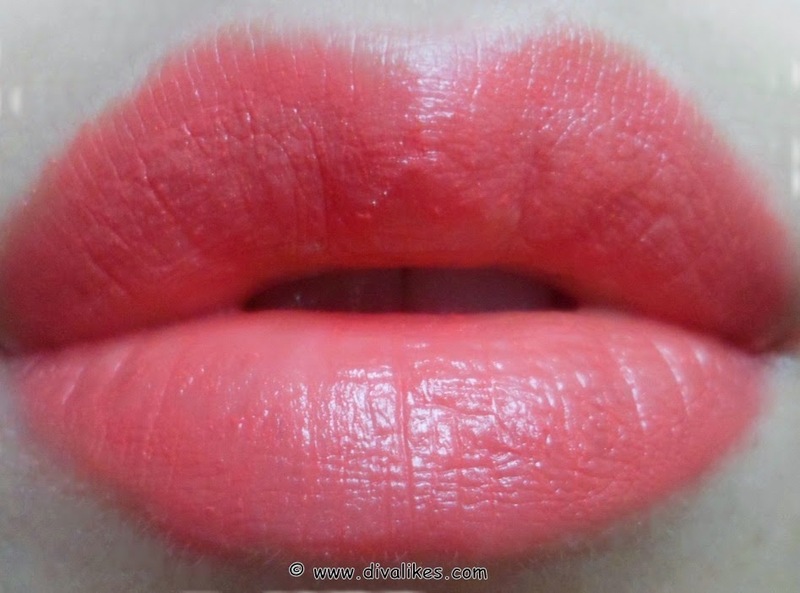 Unlike Coral Romance, Rusty is glossy in nature. I personally don't like wearing glosses or glossy lipsticks. But this lipstick has very nice pigmentation and I love that. The staying power is as usual very low with maximum 2-3 hours without any meals. It is just the staying power which makes it an average product. Overall it is a very pretty ethnic color which will go well with Indian outfits and perfect for weddings and festivals. I would like to say that Rusty shade is a very beautiful peachy orange for ladies who want to go bold without looking over the top. It is a perfect shade for festivals and is available at an affordable price. 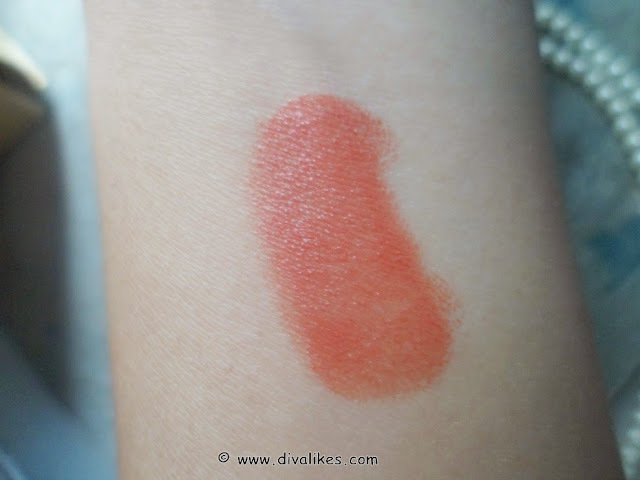 Great review divya :D very pretty lip swatch!